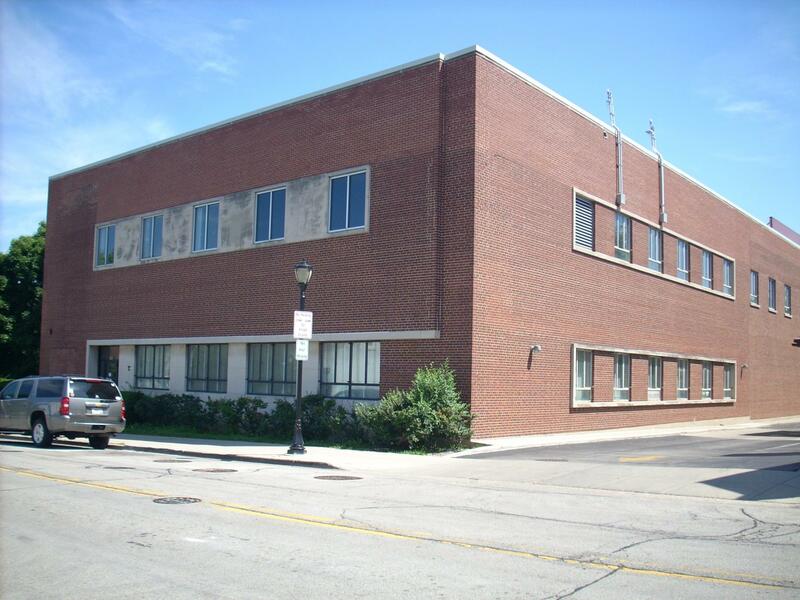 Significance: Building may be eligible for local landmark designation for its associations with the history and development of communications in the Village of Libertyville. The building replaced an earlier office erected at the same location in 1923. Historic Features: Red brick exterior; ribbon windows connected with horizontal concrete surrounds; main entrance at ground level set within a slightly projecting overhang capped with concrete, with a row of casement windows stretching beside the doorway within a concrete-clad wall. Historic Info: Historic photograph and information on building at Illinois Digital Archives (in collection of Libertyville-Mundelein Historical Society and Cook Memorial Public Library): http://www.idaillinois.org/cdm/singleitem/collection/cookmemo11/id/2106/rec/9 "On November 30, 1943, ground was broken for the Illinois Bell Building pictured here at 117 East Church Street. Completion of this office building the following year allowed for expanded and modernized services, including conversion to dial service by the end of the decade. Growth continued in the 1950s, necessitating an addition to the original building in 1956. That year there were 164 Illinois Bell Employees working in Libertyville. Historical Note: Telephone service first came to Libertyville in 1897, when F. B. Lovell and Fletcher Clark formed the Lake County Telephone Company. Lovell used the back room of his drug store as the central office, where there was one operator."